Little Kwara Camp is situated in a tree’d island on the edge of the permanent waters of the world renowned Okavango Delta in Botswana. The concession shares a common boundary with Moremi Game Reserve. This brand new camp is an intimate five-tent and is consistent with the Kwando Safaris promise: - Intimate Camps, in Private Areas, with Personal Service - Vintage Africa. Hidden amongst trees, access is by air via the Kwara airstrip. While the camp will share a name with the well known, 16 bedded Kwara Camp also operated by Kwando Safaris, Little Kwara Camp is a completely separate camp from Kwara. The tents are spacious, and are elevated into the tree canopy on wooden decks each with its own private veranda. Each tent has it’s own en suite facilities comprising bathroom with bath and an inside/outside shower. This is an ideal camp for exclusive use by small groups and families. Little Kwara Camp offers all the following activities - mekoro trips year round, double deck boat cruise, island walks as well as game drives both off road and at night. Fishing is also offered on request, using normal reel and rod fishing - flying fishing enthusiasts need to bring their own equipment. Guides and trackers will beat the same high standard as is normal in all Kwando Safaris Botswana camps. To put the concession area into context - 175 000 ha (or 1750 square kilometers ) is almost half a million acres ! The ability to operate off road and at night is critical in order to see the up to 30% of interesting mammal species that are mainly active at night. 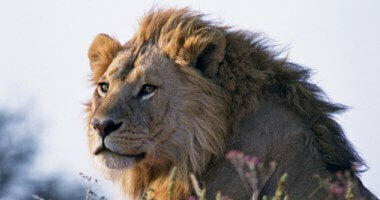 These include leopard, lion, wild dog, hyena and smaller predators. The presence of permanent water at Little Kwara ensures excellent year-round game viewing. The permanent water also ensures that mekoro trips (dugout canoes) can take place in shallow water throughout the year. Little Kwara is one of a handful of camps able to make this claim of being a wet and dry camp all year around. The spectacular scenery with scattered herds of plains game and the ever-attendant predators helps to enhance your safari. Due to the labyrinth of waterways, islands, seasonal flood plains and bush, Little Kwara is always interesting and varied. Taking a morning mekoro trip, moving silently through the flood plains is a memorable experience and the highlight for many. The trip is broken by an island visit where guests rest in the shade of the large trees while surveying the surrounding delta waters and lagoons. After the refreshment break our trained and armed guides take you on a guided walk on the island before your relaxing return to camp by mekoro. Little Kwara complements the Kwando concession experience by offering a spectacularly different setting, scenery and activities from those offered in the Kwando concession. 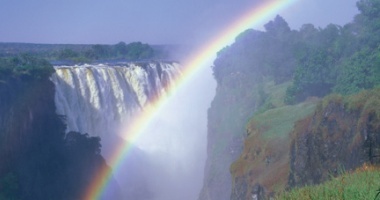 The circuit offered by Kwando Safaris gives you the best of Botswana – when combined with Songwe Village on the Zambian side of Victoria Falls the experience becomes complete. 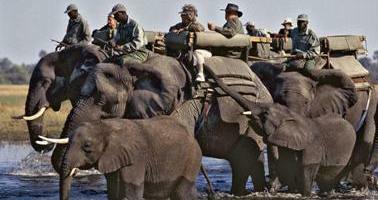 Kwando Safaris offers it all - Africa’s big game, the Okavango Delta, authentic African culture and the Victoria Falls. The Okavango Delta is a 1.6 million ha wilderness of water, reed, tress and flood plains in the middle of the Kalahari sands – the largest block of sand on earth. 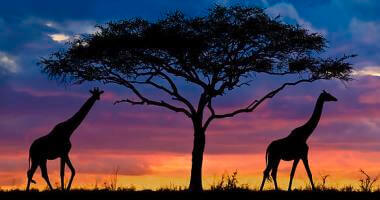 The Delta is world renowned for its biodiversity and contrasts – a must see on any African safari.